Parents will see a lot of other similarities in the shows, too. Remember Trolley? He, of course, is back in the new show. As is Henrietta Pussycat (mom to new addition Katerina Kittycat), and Lady Elaine Fairchilde (mom to Miss Elaina). The entire royal family is also a part of the show: King Friday, Queen Sara, and Prince Tuesday, with the newest addition to the family, younger brother Prince Wednesday. To continue the fun, Toys ‘R Us now has an exclusive line of Daniel Tiger toys available. 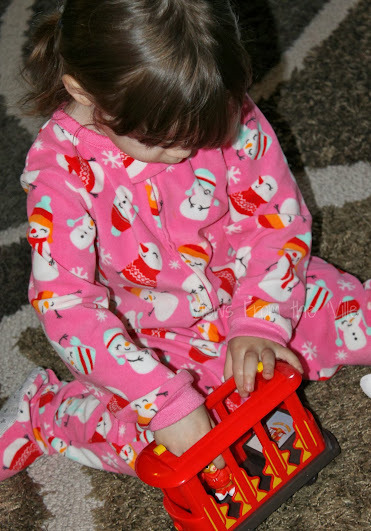 Created for preschoolers, the toys are designed with pretend play in mind. Pretend play is actually one of the precursors to reading and writing skills, so it’s important that kids have lots of chances to participate. The line of Daniel Tiger toys is quite extensive. There are a number of plush toys, play sets, and figurines of all the neighborhood friends. And there’s also the toddler-size version of the iconic trolley. We actually received a plush Daniel Tiger toy as well as the trolley and Bubbles has been playing with them frequently since they arrived. 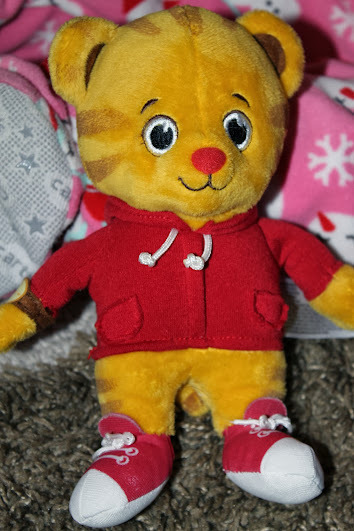 The little Daniel Tiger plush is so detailed, right down to the tiny hood on the back of his sweater. 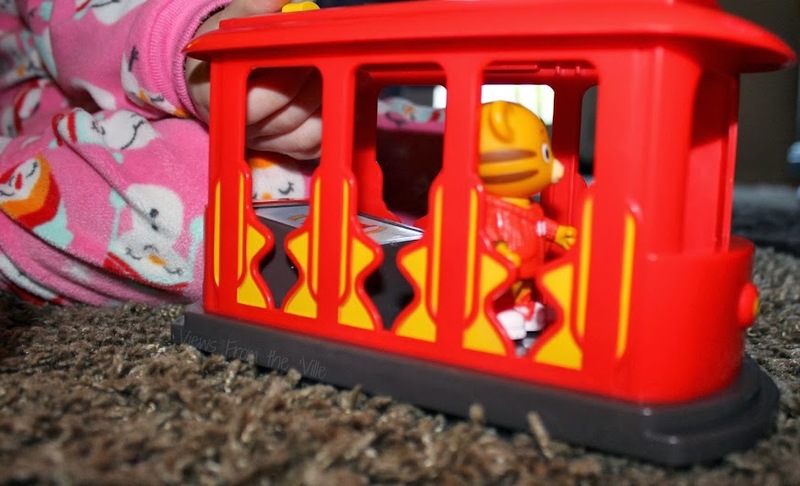 And the trolley has extra spots for other miniature figurines so Daniel’s friends can ride along, also. We’ve been told that the Daniel Tiger toys are flying off the shelves, so be sure to visit your local Toys ‘R Us and pick up your favorites soon. Or jump online and make your selections there while you can. They’re definitely sure to please any toddler or Daniel Tiger’s Neighborhood fan in your life. 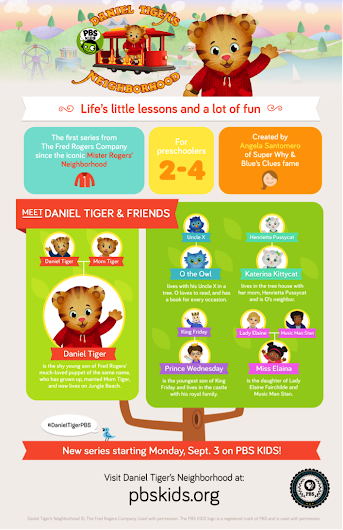 Which of the Daniel Tiger toys is your favorite? My kids love this show! Cute toys, I am sure my kids would love them! Oh, those are adorable. Looks like they were a huge hit with the kids! The plush Daniel looks adorable! Is it soft? It looks like it is. oh my goodness, my son loves this show! I haven’t seen the toys yet, now it’s on my list! I totally grew up with Mr. Rogers. It is so sad that kids can not see him now. Those are super cute, my granddaughter would love them. The Daniel Tiger toy plush is so cute and looks perfect for little kids to carry around and snuggle. What a fun new line of toys!